Our second album. Stream or buy directly from us on Bandcamp (also available on CD), listen on Spotify, or iTunes, buy on Amazon, or stream it on Soundcloud. 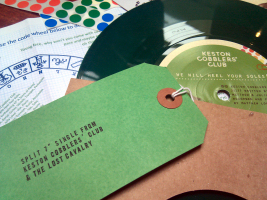 Our split 7" with Keston Cobblers' Club is available exclusively on limited edition coloured vinyl, is limited to only 200 numbered copies and is available now from our Bandcamp page. It comes with a load of little extra and an mp3 download of the songs and is the first vinyl release from either of the bands. Our second EP 'Snow City Radio' is available digitally and also on limited edition CD digipak with wonderful arctic artwork once again by Toby Atkins. 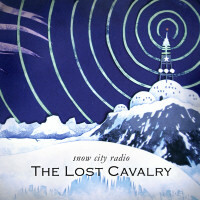 The tracks on this EP are - Snow City Radio, Desert Tracks, The Tower and The Flood. We use Disc Wizards for CD duplication and copying. 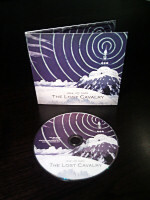 Our debut EP "Waves Freeze To Rolling Hills" is available now on CD and digital download on our own label Two Six Heave. The EP features brand new versions of 'Oh Sally' and 'Secret Steps' plus new tracks 'The Elephant Of Castlebar Hill' and 'Only Forward'. 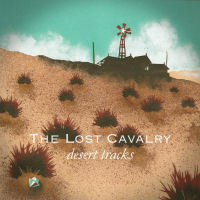 Taken from the Snow City Radio EP, 'Desert Tracks' was released on 1 Aug 2011. It's a song about abandoned diamond mines, Namibia, sand and horses, and is available from our band shop, iTunes, Amazon, eMusic and so on, or as part of the Snow City Radio EP. 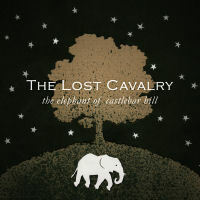 Our single "The Elephant Of Castlebar Hill" (a special new mix of the third track from our EP 'Waves Freeze To Rolling Hills') is available as a free digital download from our band shop. The original soundtrack for the indie feature film Booked Out, written and performed by Mark West and Derek Yau (of The Lost Cavalry), and produced by Mark West. Thirteen pieces written especially for the film Booked Out. 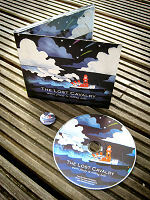 This soundtrack is also available as a full album to from our band shop. Our 2012 Christmas cover song can be downloaded for free from our band shop - and be sure to check out the video too! Christmas Wrapping video on YouTube. Between Two Waves is a free indie compilation of 38 songs on 3 volumes - the fourth compilation project from the EardrumsPop label "a non-profit project from music lovers to music lovers." Our track 'Disappear' features on Volume 1 - a collaboration between us and our friends We Walk On Ice. 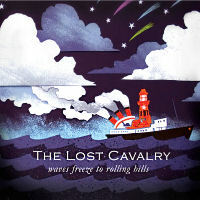 Our cover version of 'Stop The Cavalry' by Lona Lewie as featured on Polaroid.blogspot's 'A Polaroid For Christmas' compilation. You can download it from polaroid.blogspot.com now, along with the other tracks on the compilation by people like The School, His Clancyness and Electric Assembly. The 'We Are Starlight' EP by Flow Machines features a version of 'Mio & Mao' remixed by The Lost Cavalry (that's us folks!) as well as remixes by people like Martin Carr, Akira The Don and Cian from Super Furry Animals. You can download it here.